Have you already tried our cool audio player? If not, you surely need to do it ASAP! 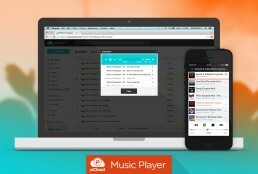 Using our embedded player you can play your favorite songs as soon as you upload them to the cloud storage platform. Regardless of where you store your audios on the pCloud online system, they will be sorted for you in the Audio section of your pCloud. You can upload your audios to pCloud by using the upload section on the web, or by dragging and dropping files from your computer to the pCloud. 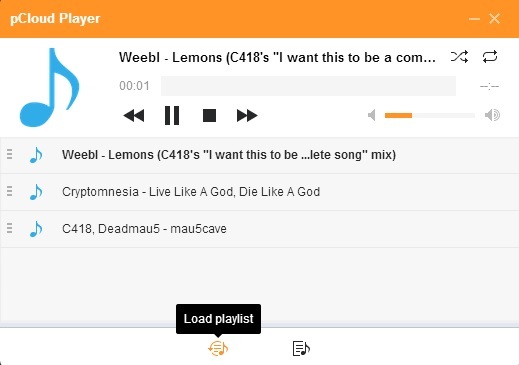 Also, you can use the pCloud Sync to synchronize your audio collections from your device to the web. If you are unsure about the contents of the audio collection you are storing on the web, simply open the Audio section and you will see all of your audios sorted by the first letter of the song, artist, or album. As an example, we have sorted our collection by Artist, just to show you how it looks. When you already have a collection of audios in your Audio folder of pCloud, you can click on a particular file or files and make use of the options that appear in the top menu of the page, such as Play Selected, Add to Playlist, Add to Player or Download. Also, the same options appear when you click on the gear wheel drop down menu, located to the right of your selected file. Using the gear wheel menu you can also open or copy the file, or view file info and revisions. 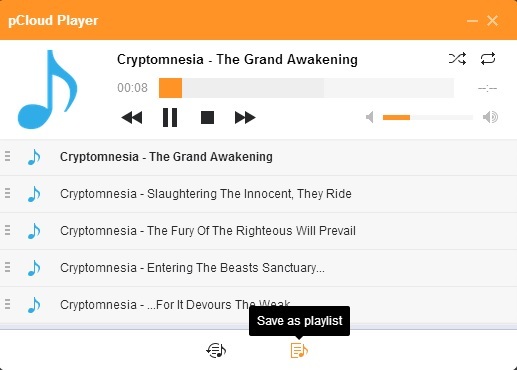 When you mark the songs you want to play in your audio player, choose the Play Selected option and they will be automatically loaded in the player. When you are already in the player, you can create playlists or load existing ones. You can also play your songs in a Shuffle mode or Repeat the entire playlist. You can perform all of the aforementioned on your mobile, regardless of whether you use an Android or an iOS device. The Android devices and the web player even play .flac files, which is great news for those who value high quality sounds. So, have fun with our audio player!